The Peninsula restaurant in Bugsby's Way has been handed a fine of £13,500 by Woolwich Magistrates. The hefty fine was issued last Monday after a number of food hygiene breaches were found in an unannounced inspection by Environmental Health officers at Greenwich Council. Peninsula restaurant, which is in the same building as the Express by Holiday Inn hotel, pleaded guilty to the offences and were charged £13,500 and ordered to pay the council's costs of £6,800. Councillor Maureen O’Mara, Greenwich Council’s Cabinet Member for neighbourhood services, said: “The Council will continue to carry out unannounced visits to food businesses and will take necessary action to safeguard customers’ health. It is essential that food businesses take all the appropriate steps to ensure general food hygiene standards are met". MANY OF Greenwich’s best-known restaurants, pubs and takeaways have been officially judged “not up to standard” for cleanliness and have failed council hygiene inspections, greenwich.co.uk can reveal. -	Three of Frank Dowling’s Inc Group restaurants – including the Inc Brasserie and Union Square at the 02, and the Coach and Horses pub in Greenwich Market. -	Another restaurant at the 02, Cheyenne Spur. -	Three well-known Greenwich pubs: the Gipsy Moth, the Mitre and the Richard I in Royal Hill. 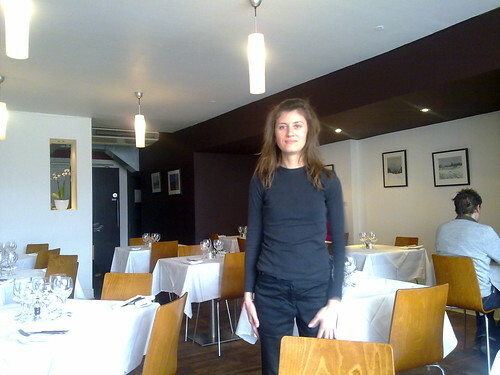 -	The Greenwich branch of the well-known Italian chain, Prezzo. In total, 59 of SE10’s 194 catering outlets failed the inspection – they are listed at the end of this article. What's notable, however, is the spread of failure – with a surprising number of upmarket and expensive places alongside the usual-suspect kebab houses. The Union Square, for instance, is described by Inc Group as its “flagship restaurant” and a “destination eatery in its own right.” Main courses at the restaurant run to as much as £26 for a steak. It failed its inspection just last month. Rhodes Bakery, too, which failed in October, is far from cheap. The best three restaurants in Greenwich – Inside, the Rivington Brasserie and Dowling’s Spread Eagle – all passed, as did most of the local chains, including Pizza Express, Gourmet Burger Kitchen, Nando’s, KFC and McDonalds. Most of the pubs also passed. However, other well-known central Greenwich restaurants – including San Miguel tapas bar, the Pier fish and chip shop, the Organic Café opposite the Picturehouse, the new Biscuit ceramic café on Nelson Road and other Nelson Road outlets Café Sol, Pistachios and Saigon – failed. The popular Wing Wah Chinese buffet on Woolwich Road also failed, as did the Queen Anne coffee shop at the University of Greenwich in the Naval College. Embarrassingly for the council, three of its own school kitchens also failed the hygiene test – though none were in Greenwich itself. 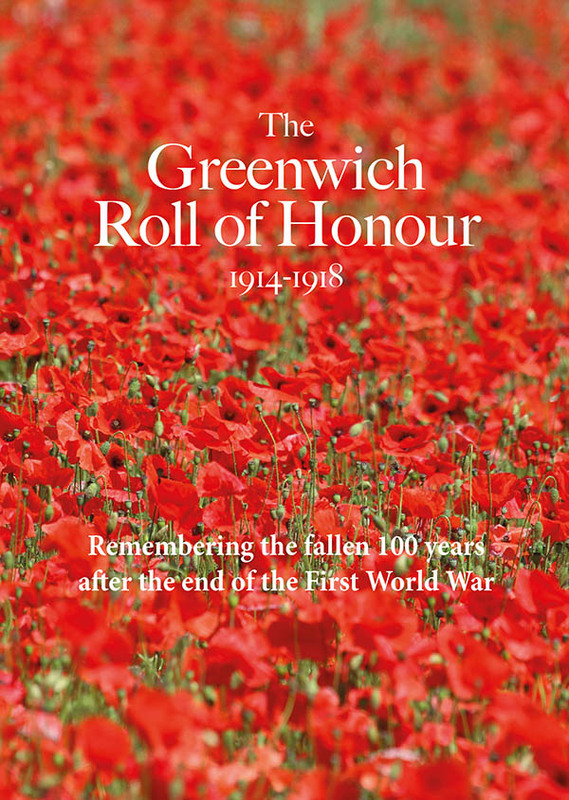 We haven’t included these or other outlets from other parts of the borough, though there were also substantial numbers of failures in Eltham, Charlton and Woolwich. Greenwich restaurants have, of course, always been pretty mediocre – the ceaseless flow of tourists means that restaurateurs don’t have to worry about people not coming back. None of the places that failed would have been my top destinations for a meal. But this survey was about cleanliness, not quality. Here are the failures, set out by category. 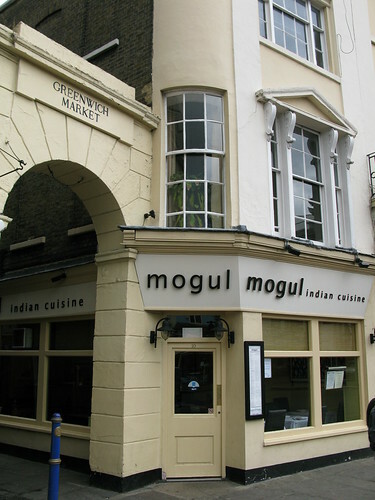 Mogul Indian Cuisine at the corner of Greenwich Market.